During WWII, in 1943, Eleanor Roosevelt wanted to travel to the Pacific War Zones and visit wounded American soldiers. Her trip met resistance from top Navy brass. Initially, Admiral Halsey regarded her trip as a nuisance and insisted on surrounding her with so much protection that she felt cut off from the ordinary soldiers she had come to see. However, Eleanor’s indomitable energy and kindness staggered the mind of everyone she met. Eleanor Roosevelt exceeded everyone’s expectations and her tour graced the lives of countless servicemen. And, as Abraham Lincoln would say . . . that reminds me of a story. I had a similar “eureka” moment as a Peace Corps Volunteer in Honduras. I had dreamed of working in a developing country for many years. However, my experience turned out to be a complete disaster. I returned to school to study agriculture for the purpose of utilizing my knowledge overseas. 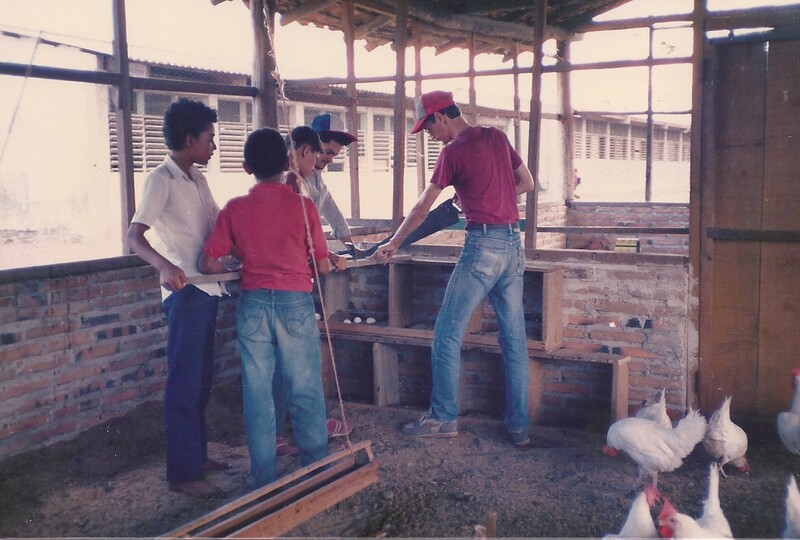 My Peace Corps assignment was to work in a small farming community in Northern Honduras. I started off full of enthusiasm, but within a week I came down with food poisoning and was hospitalized for 7 days. Upon returning to my site, I felt loneliness, frustration in communicating with the local people (some of whom didn’t seem to like me) and, I was physically exhausted from voracious, industrial sized insects that were attacking my body like the Luftwaffe attacked England. Internally, I had self-doubts about whether or not I could cut the mustard and actually do my job. I felt depressed and it showed in my uninspired work. One day while walking several miles to visit a farmer, I encountered a hostile looking bull blocking the stream that I had to cross. Two ladies and several children were standing by looking at the bull. I looked into the eyes of the bull and we had a “mind meld.” I could feel his fury and his desire to flip me like a pancake if I tried to cross that stream. Even though I knew the insects would have a feast on me, like a ravished high school football team at an all-you-can-eat KFC buffet, I jumped a fence and crossed the stream through an adjoining field so the bull couldn’t get me. When I got home that night. I found I had mosquito and chigger (tiny, super powered mites that burro under your skin) bites all over my body. I could barely move for several days which made me more depressed. I remembered the time I suffered a serious injury in middle school. I missed a month of classes and when I returned, I was overwhelmed by my homework. I doubted if I could ever catch up. I began to think I was not smart enough. Fortunately for me, my American History teacher took me under his wing and to engergize my study habits and to do thinkgs like outline the text book chapters before each test. He pushed me to do far more than was normally expected. Consequently, I caught up on my school work and became a model student. I learned that to succeed in achieving goals, I have to do more than anyone else, show super enthusiasm, and throw myself into my workwith reckless abandon. I applied the same principal in Honduras. I determined that I was not going to give up. Instead, I was going to work twice as hard as anyone else to be successful. In doing so, I overcame my obstacles and I came to love my job and the people I worked with. I even stayed a third year in Honduras to continue my work with the Peace Corps. Overcome resistence with indomintable energy and kindness. Work twice as hard as anyone else. Move forward with unbridled enthusiasm and reckless abandon. Building chicken coop in Honduran school. Like the storytelling of Abraham Lincoln, I think one’s own personal stories can transform both the listener and the speaker. Dec. 15, 2015, 12:40 to 1:00 pm. “Abe Lincoln: The Greatest Storytelling President.” Old Pueblo Rotary Club. Hotel Tucson. Tucson, Arizona. This entry was posted on Thursday, October 8th, 2015 at 11:05 am and is filed under Abraham Lincoln, Storytelling. You can follow any responses to this entry through the RSS 2.0 feed. You can leave a response, or trackback from your own site.